It feels like a bit of an understatement to say that most of us lead busy lives. In the past few years, I’ve become a big fan of making people meals as gifts instead of buying them something they may not want or need. (I’m beyond practical.) I made my boyfriend’s parents enchiladas for Christmas and decided to kill two birds with one stone and made a batch for ourselves as well. And, I ended up killing a lot more birds than I thought. In the frenzy of making enough enchilada filling, I made wayyy too much filling. So, I decided to make more enchiladas later in the week and freeze them. When all was said, wrapped, and baked, I had THREE 8×8 pans of enchiladas ready for the freezer. And as the weeks passed, the relief I felt from having those in the freezer was amazing. One less meal I had to plan, prep, and shop for made things just that much easier. I’ve since adjusted my recipe to make two enchilada pans, one for now and one for later, or two for later, or one for you and one for a friend. I prefer to buy 8×8 aluminum cake pans from the store to make these. If they’re going to a friend, I don’t have to track down my pan. If I’m freezing both of them, I’m not out two 8×8 pans for the rest of the few weeks until we eat them. The filling for these enchiladas is a hearty mix of black beans, tomatoes, cauliflower and Swiss chard. 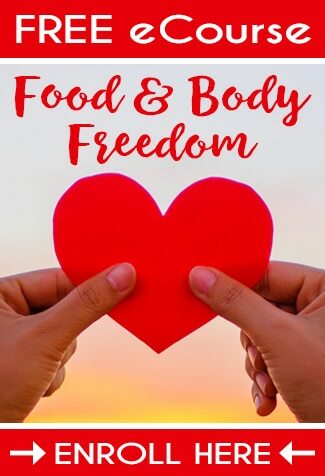 Feel free to make the filling your own and swap out the kind of beans or the vegetables for what you have on hand or is available in your area. 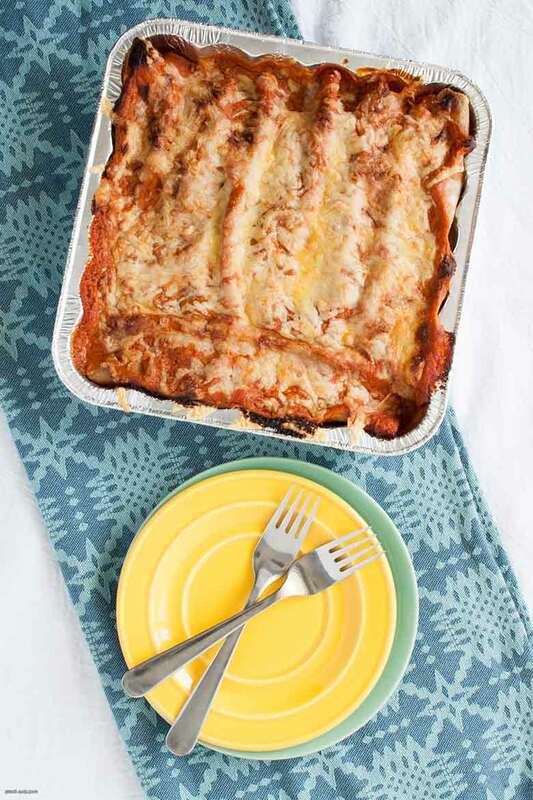 Whether you’re in a busy season in your life or you want to maximize your kitchen time, I hope you enjoy these Vegetarian Freezer Enchiladas and the time-saving magic they bring. To make the enchilada sauce, bring oil to a medium-high heat in a medium stock pot. Whisk in the flour and chili powder. Whisk until smooth and add as much to get the consistency you want. (I prefer a thicker sauce, so I used less than 1 1/2 cup of stock.) Simmer for about 5-10 minutes. On a foil-lined baking sheet, rub coconut oil along the entire inside of the pan. Arrange the cauliflower florets in a single layer and sprinkle with salt, pepper, and garlic powder. Roast for 15-20 minutes, until fork tender. In a sauté pan, bring 1-2 tsp of coconut oil to medium heat. Add in minced garlic and Swiss chard stems and cook until translucent, about 3-4 minutes. Add in Swiss chard leaves and cook until wilted, about 4-7 minutes. Stir in tomatoes, beans, and roasted cauliflower until combined. Add chili, salt, and pepper to taste. Arrange two 8×8 pans (I use aluminum ones that are easy to freeze) and pour 2-3 large scoops of enchilada sauce across the bottom of the pan. Wrap tortillas in a cloth/paper towel and heat for a minute in the microwave. This can prevent them from cracking when you roll them. Spoon a line of filling in the center of the tortilla and roll. Make sure not to overpack your tortillas or they’ll be too hard to roll. Place the fold side down in the pan. Repeat with all tortillas and fill both pans. Top with sauce and cheese and bake for 20-25 minutes, until the cheese is golden brown. 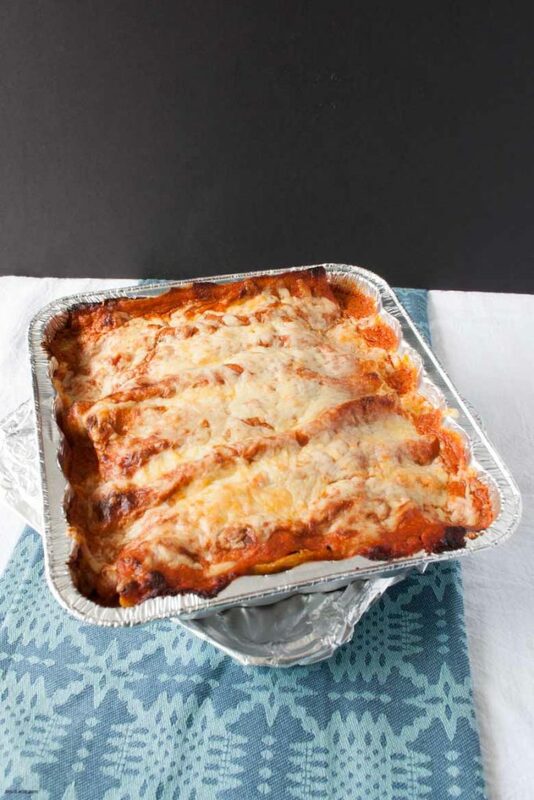 Allow enchiladas to cool. If you’re freezing both, cover with foil and write reheating instructions on top: Heat at 375, 20 minutes covered and 20-30 minutes uncovered, or until warmed all the way through. 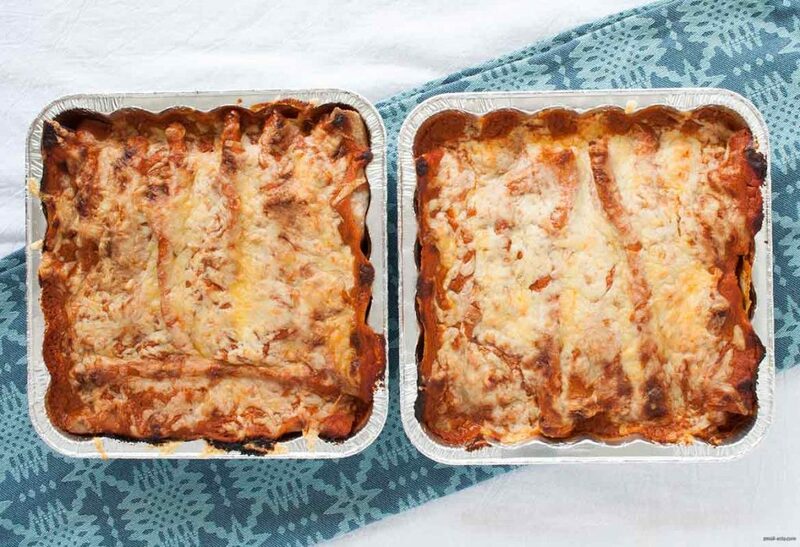 Place freezer pan in the freezer and if you’re keeping one to enjoy now, store in the fridge or serve.